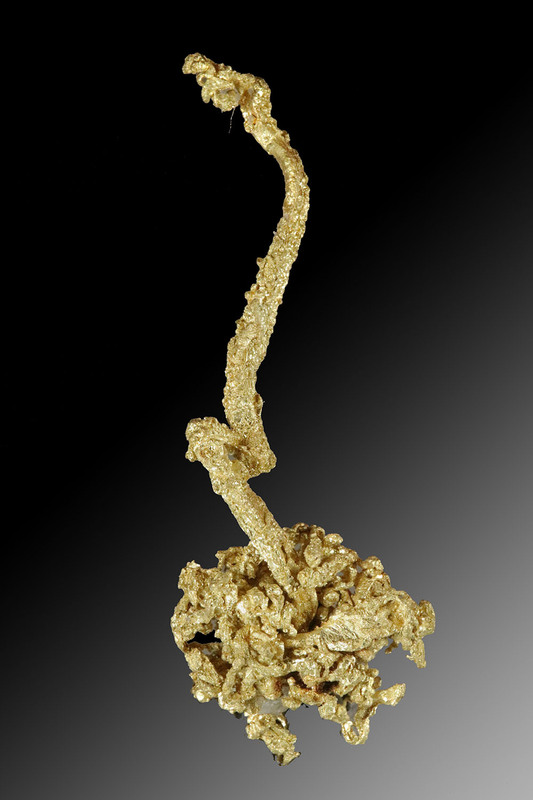 Another piece from the Round Mountain Gold Mine that makes you pause and stare at it's uniqueness. 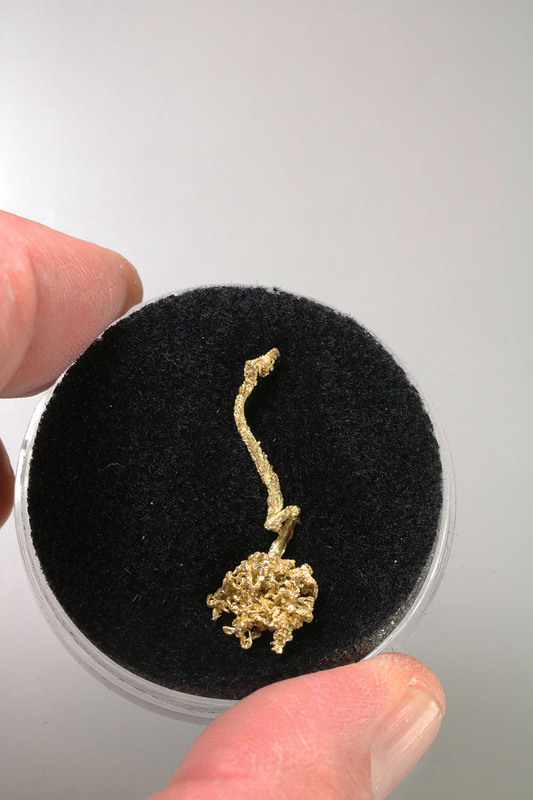 A ball of wire gold forms the base with one wire "escaping" the ball and extending into a long and curved wire that jets from the top. 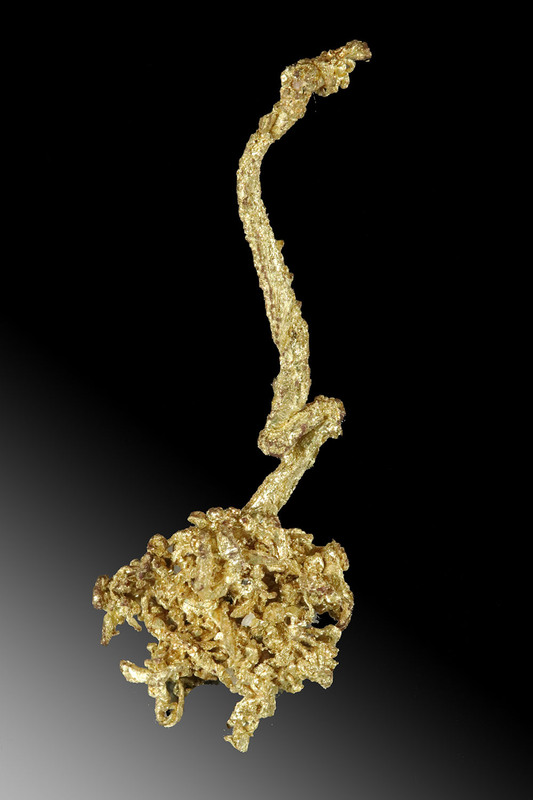 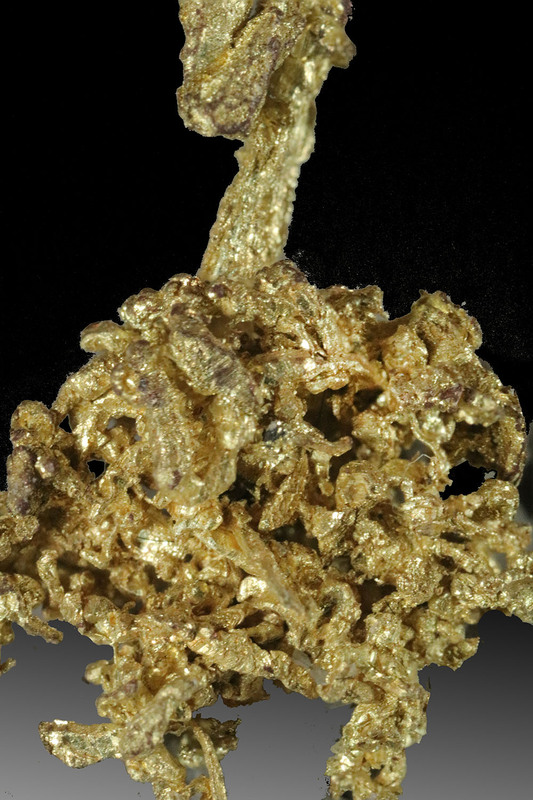 Amazing gold specimen from this famous location.